from 5:30am – 9:00pm to maximize practice time! Purpose built, immaculately manicured 30 metre putting green with 6 holes. 4 Grass and sand bunkers of varying depths to perfect your chipping game and improve your on-course scores. Perfect your game with regular practice with your own tube of 20 balls and unlimited access all year round. Half & full day, weekly & annual memberships available. Grass & sand bunkers available! 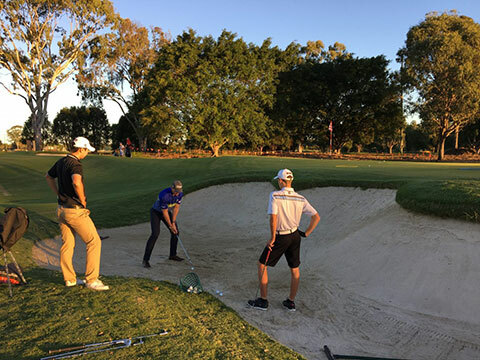 With 3 sand and 2 deep grass bunkers, you can take your chipping to a whole new level. Practice all facets of your chipping! 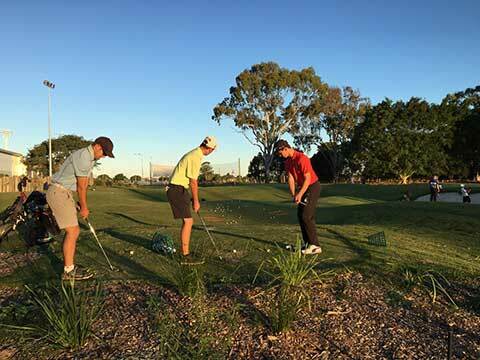 Practice your long & short distance chipping from a range of areas with varying lengths of grass and slopes. 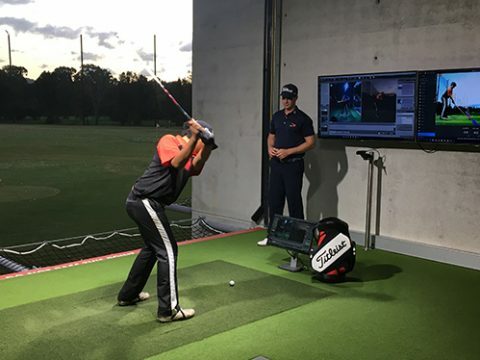 Private coaching at KDV Sport offers the most current and up to date technology from Trackman, KVEST 3D, Balance plates and high speed video analysis. All this is used in a way that gives us the ability to measure and provide instant feedback to your current swing characteristics. 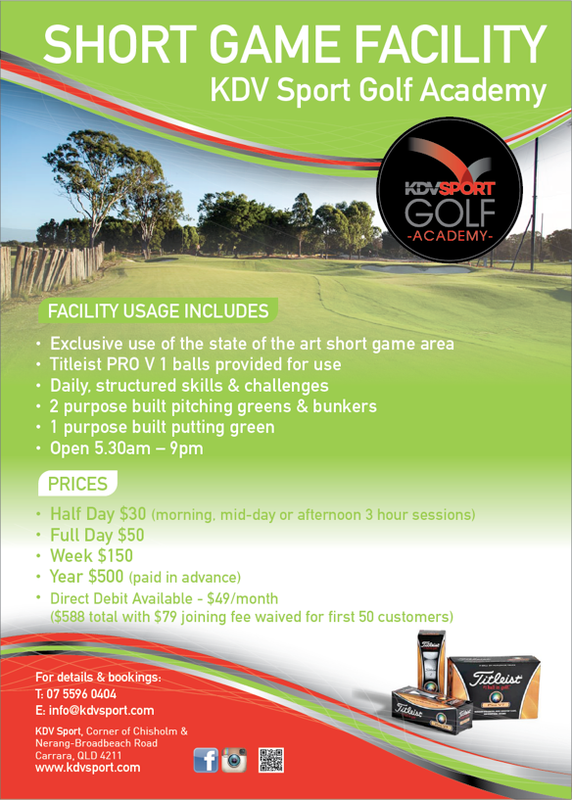 Also, how we can best improve your game and better your golf. 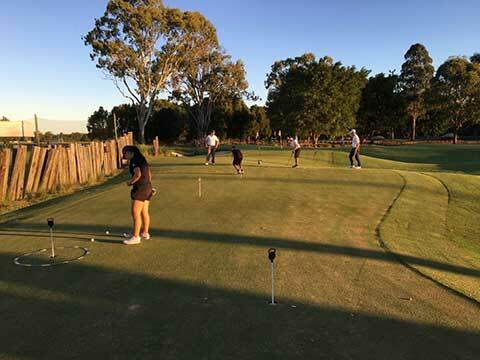 Given 70% of golf shots are applied on the short game, the KDV Sport short game facility located at Carrara, provides all golfers with the opportunity to experience one of the best short game areas on the Gold Coast. 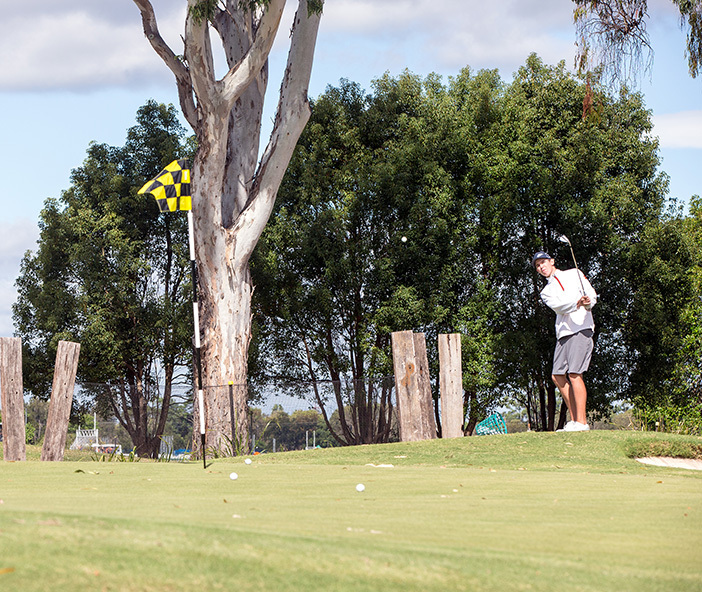 With an undulating terrain and immaculately manicured greens, the short game area is challenging for all levels of skill and ability from juniors to professionals and enables golfers to improve their game through accurate shot selection.